We want to take this opportunity to thank Marin Organic and Liana Orlandi, who organized and ran the recent online auction through Bidding for Good. As a first time effort, we feel it had a very good response as nine paintings from the Art on the Farm group were sold as well as additional local photography jewelery, lodging and dinner certificates for organic restaurants. We were very pleased with the collaboration with Marin Organic, and I hope they will consider working with us to grow this option for the future. Many more artists had bids on their pieces, well up to $500., but since the reserve on the works was higher than this, he art was not sold. 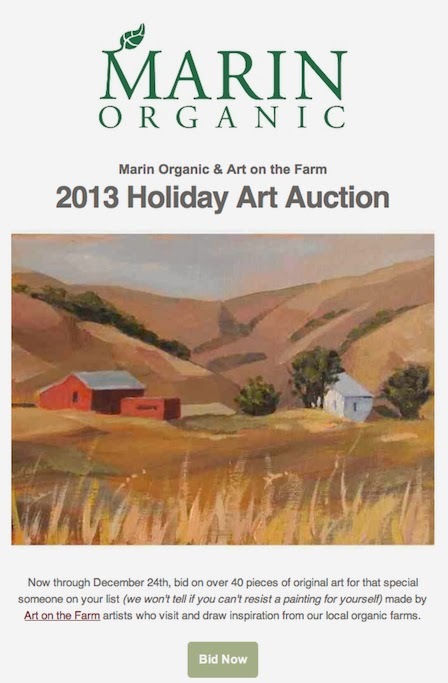 Marin Organic has emailed the high bidders to connect directly with the artists in case they are still interested in purchasing the work. Thanks again, and we look forward to hopefully trying this again in the future. 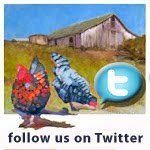 We hope to schedule new artist visits to the farms in the Spring. In the meantime, pray for rain and do your favorite rain dances so our local farms will have grasses for the cattle and the produce will be plentiful.